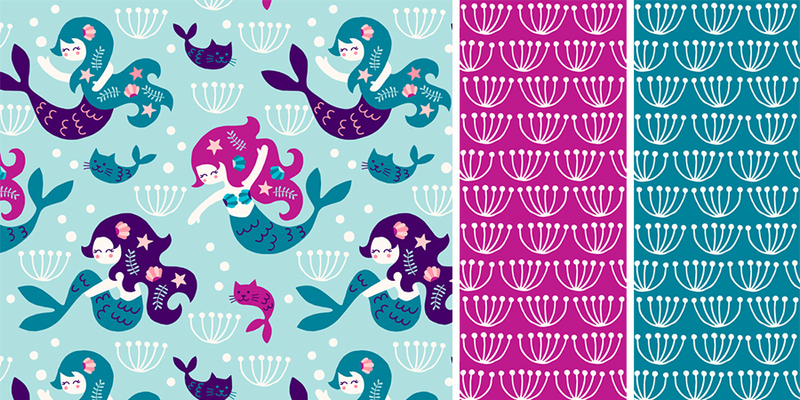 My Mermaid collection is one of my best selling designs in my Spoonflower shop. The purple version is favorite, but also the pink version sells quite well. This collection is licensed by a Polish company and you can find many baby products with this design in their shop.